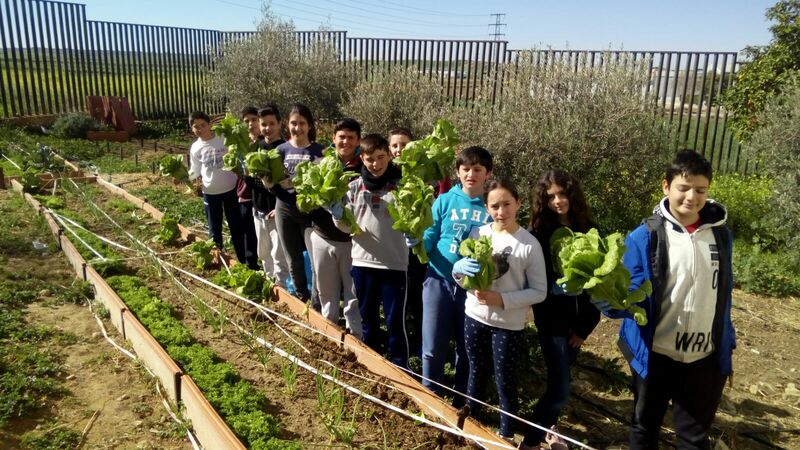 Some months ago, we planted lettuces, endives, and onions. 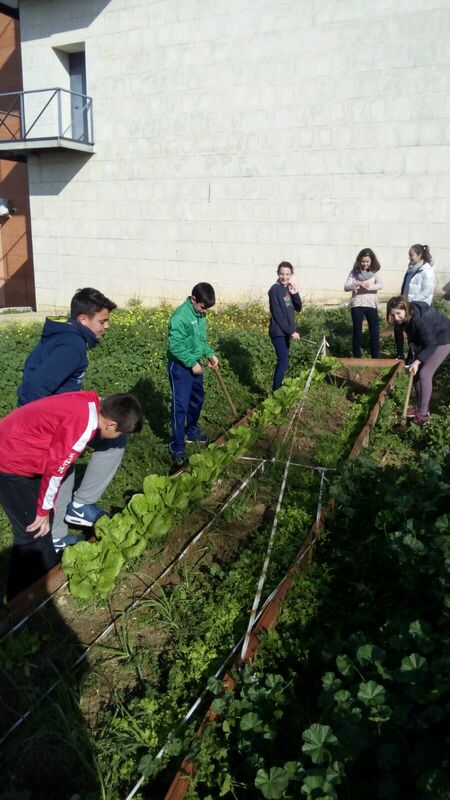 The first day we went to the garden with Teacher Agata, and everyone was helping to prepare the soil, and after that, we planted the lettuces, endives and onions that our teacher gave to us. Everything was perfect and our work was worth it. Every break we had to go to the garden. We watered the plants, and a lot of things. Time passed and our lettuces, endives and onions grew up, and they were so beautiful. Everyone helped and after three or four months, we could collect all the lettuces and endives. We got 16 lettuces Then. we sold them for 2€ each and we gave the money to the ”Asociación de Niños Contra el Cáncer”. 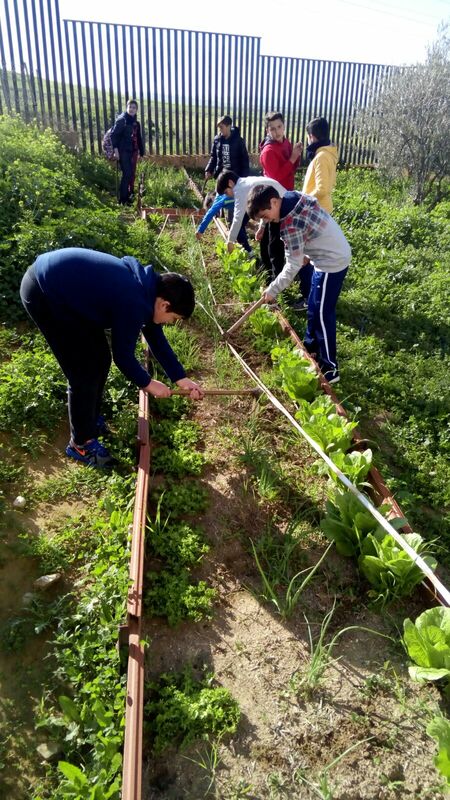 We created the garden because this high-school wants to help the enviroment and ecologic products. En los siguientes vídeo podéis ver la presentación y exposición realizada en inglés por alumnado de 1º ESO de nuestro Centro sobre la figura de Diego López de Arenas. We teachers tell our students that languages are alive. The obvious implication of this assertion is that languages die too. When the last speaker of a language dies, that language dies too. It does not matter if there are graphic documents that evidence its existence and somehow preserves it. When we hear about the death of a language, we normally think of a weird language spoken in a remote area in India or by an uncivilized tribe in the Amazon basin. From time to time we find information about this sad news in the newspapers. I have recently heard about Amedeo García who is the last speaker of the tashuiro, a language spoken in the Peruvian Amazon rainforest. More and more people move from remote rural areas to cities, where they must get integrated to survive. In this context, with a compulsory education in the dominant language and the mass media using it, the local languages disappear. And the disappearance of a language implies the disappearance of the culture which shaped that language . Globalization has its pros and cons. This is one of its most obvious negative consequences together with the loss of the world cultural richness. That’s why the news of the death of the Cromarty fisherfolk dialect’s last speaker attracted my attention. His name was Bobby Hogg and he died in 2012. He was the last fluent living speaker in the dialect of English used in some parts of the Black Isle, mainly in Cromarty, near Inverness, in Scotland. Although it only occupied some few pages in the news that day, it was not only a sad loss for his family but for all the world. Cromarty, which counts just over 700 people, is at the very end of a sparsely populated peninsula of forest and farmland. It’s separated from Inverness, the closest city, by the Beauly Firth, a wide body of cold water where salmon run and dolphins frolic. That unique landscape shaped its people, its culture and the language that expressed it. The Cromarty dialect included a wealth of seafaring vocabulary since this people earned their living in the sea. Another distinctive feature was the use of the archaic “thees” and “thous”, pronouns now lost from the spoken English. The aspirate “h” was often added or subtracted, so that “house” would be pronounced “oos” and “apple” would be pronounced “haypel.” The “wh” sound was often dropped entirely. A good dictionary to work with. Hello to all the visitors of this website! To start with, I want here to give the answer to a question that my students quite often make me. For me, a very useful online dictionary is Word Reference. You can also download the app in your smartphone. It provides information and examples, as well as translations of those examples, that all students can find interesting and useful.